This 2-bedroom villa for up to 4 guests is located in Panormos and has a private swimming pool. 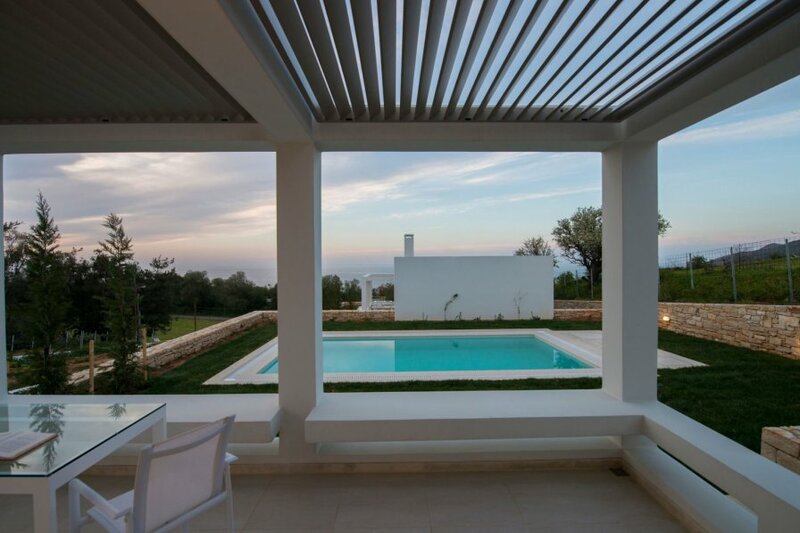 Panormos 22 km from Rethymno: Very modern, beautiful villa Basillico, 2 storeys, built in 2017, surrounded by trees. On the outskirts, 200 m from the centre of Panormos, in a sunny position on top of a hill, 300 m from the sea, 300 m from the beach, located by a road, in the countryside. Private: beautiful, well-kept garden with lawn and flowers, swimming pool with privacy (01.05.-31.10.). Terrace (14 m2), barbecue, fireplace. In the house: with TV, internet access, WiFi, air conditioning, washing machine. Linen change 2 times per week. Towel change 2 times per week. Parking. Shop, grocery, supermarket 200 m, shopping centre 22 km, restaurant, bar 200 m, bakery 250 m, sandy beach 300 m, diving center 9 km. Nearby attractions: Melidoni cave 12 km, Knossos 60 km, Sfendoni cave 25 km, Arkadi Monastery 20 km. Please note: car recommended. Suitable for families, baby equipment on request. The photograph shows a typical example. There are more similar properties for rent in this same residence. All houses/apartments are individually designed/furnished.